2015 winners receiving their awards from Lady Captain, Jill Hopwood. 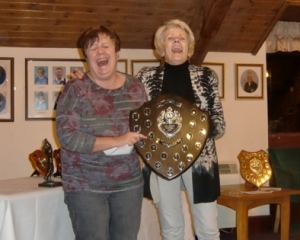 Except, of course, where Jill has won, so the award is presented by another Club member. 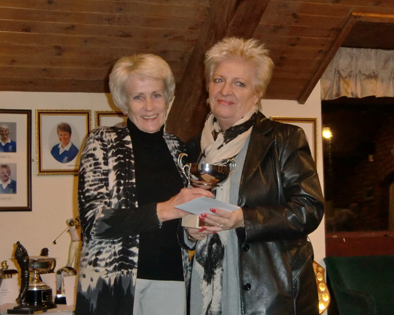 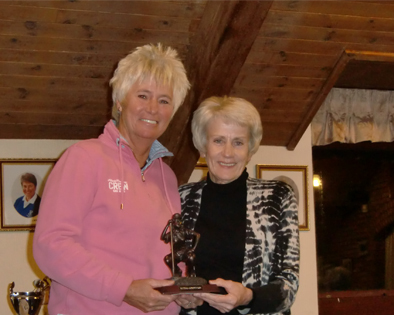 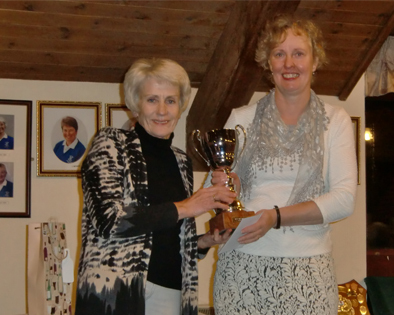 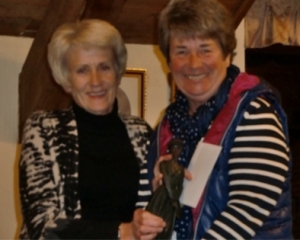 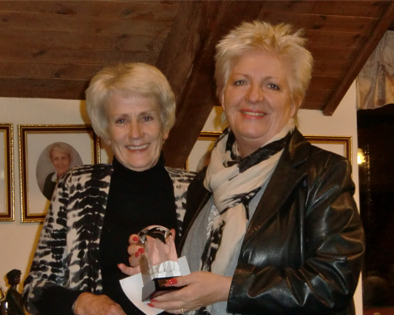 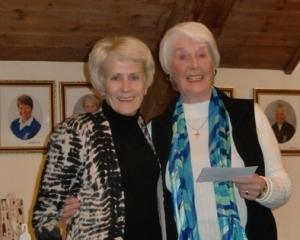 Carol Chadwick was 2015’s star player, picking up 13 awards, including those for Best Gross Score, WHGC Ladies Eclectic Prize, and Club Champion. 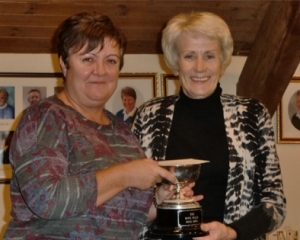 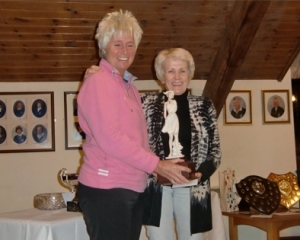 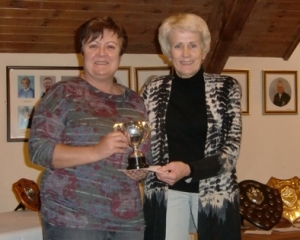 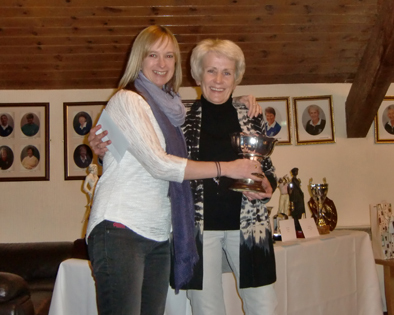 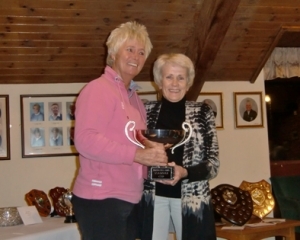 Lesley Dinsmore, who only joined WHGC this year not only achieved her handicap, was immediately cut upon winning the Professionals Trophy competition and picked up the award for the Most Improved Player of the season.